Simple joke app that displays an animated console screen. It doesn't actually do anything, but looks real tech-like. You will have hours of fun with this wonderful product! As an easter egg, a vintage sci-fi story has been cleverly hidden in the displayed text! Also, you can touch the screen, and some random letters will flash by, looking very cool. 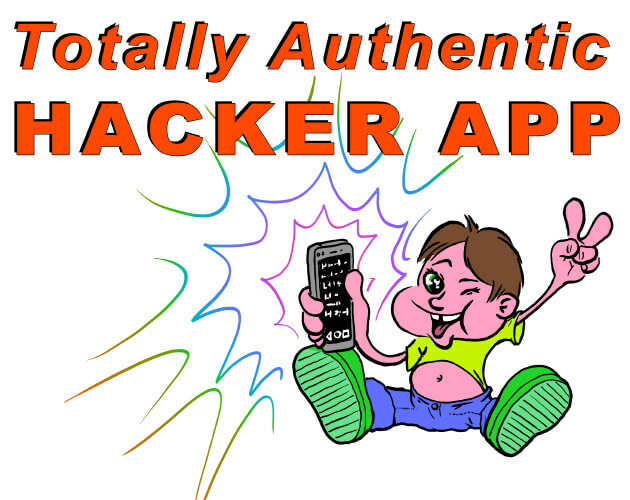 I'm proud to say that this app got suspended and removed from Google Play "because it violates the misleading claims policy." 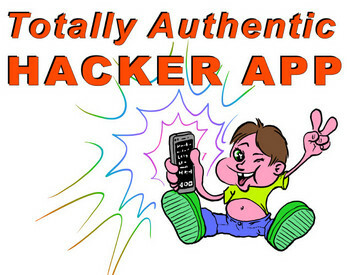 Apparently, the title TOTALLY AUTHENTIC HACKER APP would lead people to believe that it was a piece of actual hacker software! So just to be clear: it is not! The title is ironic.